It’s easy to get caught up with the excitement of buying your first home. Below are some tips for Making an Offer. Let a real estate professional guide you so that you don’t end up paying more than you should, or can afford. By this point, you should have already been pre qualified or pre approved by a lender, unless you are paying cash. Why is this important? Because the Seller wants to know that you are a solid offer and that you can afford their home. Though neither the prequalification nor the preapproval are guarantees you will get the loan, the seller would more seriously consider your offer because it indicates you were proactive in understanding your financial situation and how much home you can afford. 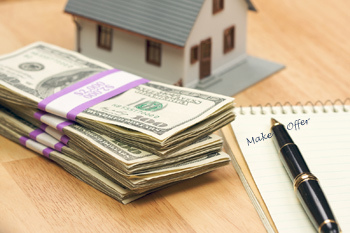 Once you have the pre-qualification or pre-approval letter in hand, and have found the home you want, the next step is determining the amount of your offer. This is a critical step - it needs to be realistic based on the current market in the area, how long the home has been on the market, and your budget, and it needs to be competitive, if in a multiple offer situation, or likely to become one. In a multiple offer situation, the seller is considering more than just your offer. View any pending sales to learn the selling price of homes have recently been sold but not yet closed. Note: You should not just assume that you will have room (or the opportunity) for negotiation – that may not be the case in a competitive market. You want to get it right the first time. It takes equal parts of skill and science to determine an offer that is realistic yet competitive. We know the Westchester County real estate market, and we will help you interpret the data to come up with a strong offer that will get you the best deal. What is the likelihood of this becoming a multiple offer situation? What contingencies should I include in my offer? Is it possible to offer less than the asking price and still make my offer attractive to the Seller? Can you offer a shorter closing period? Your real estate professional at Hire Realty LLC will help you get your key questions answered and give you advice on how to evaluate your findings. The process can be daunting, and we understand that. We will explain the process, step by step so that you are comfortable that you are making the right offer, the first time.